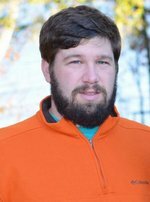 My name is Cody Eiland and I am happy to be teaching at the Ag Academy. My passion for agriculture began at a young age thanks to my grandfather, who was an Ag teacher for over 40 years. I grew up in Eufaula, Alabama and was very active in the FFA during high school and also during my time at Auburn. My lovely wife and I have been married for three years and we will be moving to the Goshen area after she completes her masters in Secondary Mathematics Education in the spring. We look forward to being a part of this school and community.